Our new house needed restoration of the front bay windows. We wanted to replace the casement windows with sash windows as they would have been originally but double glazed and fully draught proofed. After taking three quotes we decided to use James Charnley. 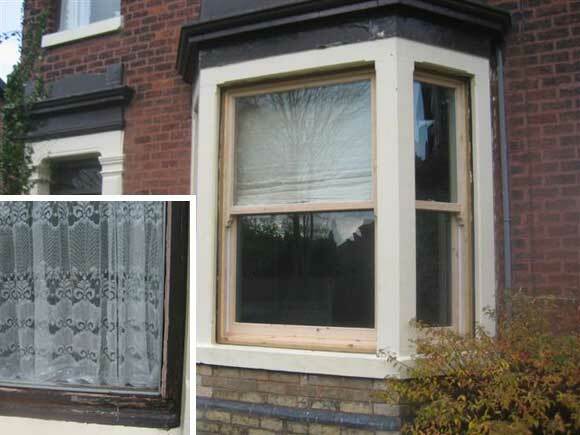 The windows he supplied were close to the orignal, pre-vac treated against decay, double glazed with Pilkingon K glass, fitted with sliding lead weights and nylon cords with architectural grade fittings. The work was completed over a period of seven days and to a very high standard. This included fitting the interior sills and ceiling sections. We would have no hesitation in recommending James Charnley for this type of work.